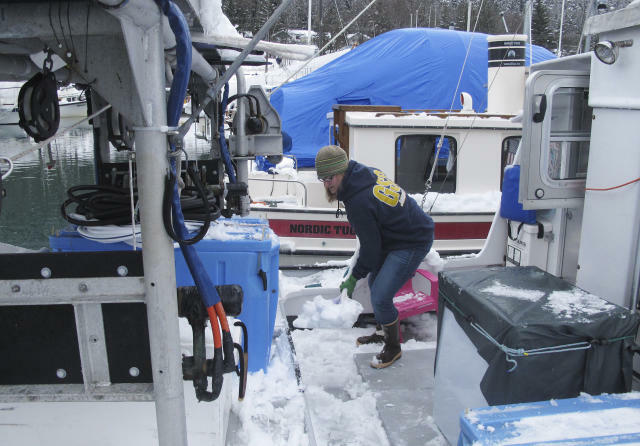 Health In Alaska, anxiety grows as debate over health care rages BECKY BOHRER and RACHEL D’ORO,Associated Press 9 hours ago JUNEAU, Alaska (AP) — Going without health insurance is a risk. Going without it in Alaska can be a gamble of a much higher order, for this is a place unlike anywhere else in the U.S., a land of pitiless cold, vast expanses and dangerous, back-breaking work such as pulling fishing nets from the water or hauling animal carcasses out of the woods.And yet many people on the Last Frontier do not carry insurance. For them, the Affordable Care Act just isn’t working.For reasons that have a lot to do with its sheer size, sparse population and harsh environment, Alaska has some of the highest health care costs in the nation; the most expensive insurance premiums, according to one key measure; and just one insurer in the whole state writing individual policies.Michael Hutton, who makes a living selling high-performance dog food used by dog sledders, some of whom compete in the grueling Iditarod race, looked at the potential $700-a-month cost of coverage under Obamacare and decided he would rather take his chances and hope he doesn’t get seriously hurt or ill.”In my age group, it hasn’t been much of an issue,” the 45-year-old Hutton said. But he confessed, „The older you get, the more important it’s going to be.”Many people in Alaska are frustrated with the cost of required health coverage under President Barack Obama’s signature law and anxious about what the future holds, with President Donald Trump so far unable to deliver on his promise to repeal and replace it with something better.Income-based subsidies are available under the Affordable Care Act to help many Alaskans buy insurance. But not everyone qualifies, and so some choose to go without.As of 2015, 13 percent of Alaska residents were uninsured and potentially subject to fines under Obamacare, according to the Kaiser Family Foundation, citing the most recent figures available. Five states in all were at 13 percent. Only Georgia (14 percent) and Texas (16 percent) were higher.Hutton, who lives in the fishing village of Kasilof, has so far managed to avoid any serious health problems and said the amount he has paid out of his own pocket for medical care, plus an Obamacare tax penalty of $700 for not having insurance, are far less than the premiums he would have faced.Many people in Alaska hold down rugged jobs or enjoy outdoor pastimes that can lead to serious injuries and chronic ailments, such as bad backs and knees. At the same time, Alaska has some of the nation’s highest rates of tuberculosis, chlamydia and suicide. Alcohol and drug abuse is a major problem, too.With many places in the state accessible only by air or water, some people who suddenly get very sick have to be flown to Anchorage or Seattle. A medical evacuation can cost $50,000 to $150,000. Even ordinary visits to the doctor can be problematic, in part because of shortages of primary-care physicians.Alaska’s biggest cities — Anchorage, Fairbanks and Juneau — rank at or near the top among the nation’s metro areas in the cost of a doctor’s visit, with Juneau the most expensive in the country at nearly $189, just above Boston, according to the Center for Regional Economic Competitiveness.The attitude toward Obamacare appears to reflect something essential about Alaskans: They can be a stubborn, skeptical bunch with a libertarian streak. While Trump won the state with 51 percent to Hillary Clinton’s 37 percent, the biggest voting bloc is independents, who outnumber registered Republicans nearly 2-to-1.Alaskans often take great pride in their toughness and resourcefulness and have been known to bandage their own wounds or use a staple gun to close a leg gash.”There’s no use in going to pay a thousand dollars for someone to wrap up your ribs in a bandage,” said Bryce Reimer, a 25-year-old audio and lighting technician from Wasilla who wrapped his own ribs after a car accident because he doesn’t have health insurance.The health plan that is often used as a benchmark for comparing coverage from state to state, for a 40-year-old nonsmoker, costs $927 a month before any subsidies in Alaska, or 2½ times the national average, according to the Kaiser Family Foundation.While nearly every Alaskan receives an annual check of typically more than $1,000 as their share of the state’s oil wealth, that doesn’t necessarily go very far in a place where the late-winter unemployment rate in some communities is around 20 percent and where the difficulties of delivering goods and services contribute to a cost of living so staggering that a gallon of milk can cost $10 in some rural outposts.Also, many Alaskans work jobs where the amount they earn can fluctuate wildly, depending on such factors as the weather or the size of a salmon run. Because of that, some people cannot be sure whether they qualify for subsidies from one year to the next, or whether they will be able to afford coverage once they have signed up.Juneau resident Bonnin Jarvill, who fishes for a living, said her family’s Obamacare-subsidized policy of $360 a month is affordable, but the family deductible is a daunting $14,000.That’s worrisome because their income can vary depending on how many salmon and halibut they catch, they are still paying off bills from last year’s fishing season, and they are trying to set up a plan to pay off her husband’s recent hernia surgery. They live on their boat with their 4-year-old daughter.Jarvill, 30, said she and her husband plan to see if they qualify for Medicaid. If not, they may have to ask their parents for help.”We feel like at this point in our lives we should be able to take care of our family,” she said. „It’s frustrating to receive help.”Nearly a quarter of Alaska’s 740,000 residents are covered by Medicaid, which Gov. 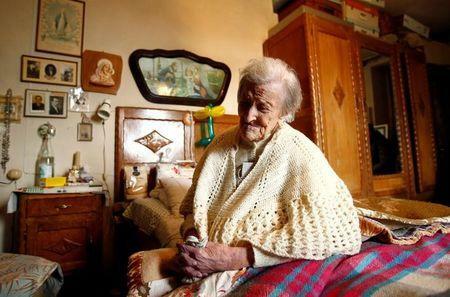 Bill Walker, an independent, expanded as part of the Affordable Care Act to include more lower-income people. Only about 19,000 Alaskans get insurance on the individual market, resulting in a tiny pool across which insurers can spread costs. The number of insurance companies writing individual policies in Alaska dropped from five in 2015.Last month’s dead-on-arrival GOP health care proposal would have jacked up premiums on Alaskans even higher. Rep. Don Young and Sen. Lisa Murkowski, both Republicans, had raised serious objections, saying they wanted to see something that would reduce costs, increase access to care and protect Medicaid recipients from cutbacks.In the meantime, many of those who gained coverage under the law or have affordable plans are fearful about losing their lifeline.Public relations photographer Lisa Seifert, 55, of Anchorage, qualified for expanded Medicaid last fall after going without insurance for years because it became too expensive. Car accidents and years of lugging around camera equipment have taken a toll on her body.”I just hope it doesn’t go away,” she said of her Medicaid coverage, her voice faltering. „Where would I be?”_D’Oro reported from Anchorage, Alaska. Cailey Rizzo,Travel+Leisure Fri, Apr 14 7:44 AM PDT Sometimes you just need to get away in order to gain perspective.After spending eight years in the White House, Barack Obama is currently getting lots of new perspective at a resort in French Polynesia, according to local reports.Since his arrival in Tahiti on March 15, the former president has holed up at luxury resort The Brando, working on his memoirs for the past month. Michelle Obama flew out to join him over the weekend.The couple, staying true to their fitness routines, spent Sunday in the island’s lagoon. The former president swam in the water while the former first lady got her exercise paddleboarding. They took a small boat out to the lagoon, accompanied by two boats of security personnel.“True to his reputation, he was very relaxed,” according to local news TNTV. The luxury resort – located on the island Tetiaroa, about 30 miles from Tahiti – has 35 villas, each with their own strip of private white sand beach and plunge pool. It was once used as a retreat for chiefs and kings of Tahiti until Marlon Brando purchased the island in 1967. It has since become an eco-friendly resort that also supports research and conservation initiatives.The resort features many opportunities for visitors to take advantage of surrounding nature including a sea turtle sanctuary, coral reefs for snorkeling and deep-sea fishing.But that doesn’t mean that Obama is shutting himself off from what’s happening in America. Inside the villas are decked out with a media room and wifi to stay connected to the outside world. U.S. Oroville Dam: Water flowing down damaged main spillway again MercuryNews.com 15 hours ago Oroville – Water is flowing down the damaged main Oroville Dam spillway again. At 9 a.m. Friday the Department of Water Resources began releasing water into the concrete chute, the bottom part of which is largely destroyed after breaking up beginning Feb. 7. The discharges were to be ramped up to 35,000 cubic feet per second, while the flow through the Hyatt Powerhouse underneath the dam was to be shut off.Use of the spillway was necessary because enough water can’t be released through the powerhouse to keep up with the inflow to the lake from the current series of storms. About 13,000 cfs can be released from Lake Oroville into the Feather River through the powerhouse, while inflow has been as high as 51,000 cfs in the last 24 hours. At 10 a.m., the lake level was 866 feet above sea level, which is a rise of almost 3 feet in 24 hours. Since then it has stabilized, and is down about an inch and a half. The lip of the problematic emergency spillway is 901 feet. DWR has indicated it will run the spillway for 10-14 days. Powerhouse flows will be off until work on the power lines connecting it to the electrical grid can be completed. One of the towers supporting the line was threatened with erosion during the spillway emergency, and the lines were moved temporarily to a new location. Even after that work is complete, half of the powerhouse will remain offline, and the flow through one of the two penstocks from the lake will be shut down. That will be done partly to make preparations for replacing a turbine that has been out of service for a couple of years. Friday DWR also announced it was increasing State Water Project deliveries to 100 percent for contractors north of the Sacramento-San Joaquin Delta and 85 percent for those south of the delta.That’s an increase from the 60 percent announced Jan. 18, and the highest allocation since 2006.“We’re hopeful we’ll be able to increase deliveries even more as we monitor conditions,” said DWR acting Director Bill Croyle in a press release.DWR initially estimated it would only be able to deliver 20 percent of the 4.1 million acre-feet of SWP water requested this year. Lifestyle A roller coaster got stuck on the tracks at Six Flags, making all your amusement park nightmares come true Aly Horne,Hello Giggles 7 hours ago For those of you who are already scared of roller coasters, please look away now. Because a group of people got stuck on a roller coaster in Six Flags. Luckily, the unfortunate passengers stalled on a horizontal part of the Joker’s Jinx coaster. And not on of one of the many loops. Like, even if you like roller coasters, is there any more horrifying thought than grinding to a screeching halt while upside down? Riders were one hundred feet off the ground when the fire department arrived to help them out.However, the park reported that nobody was particularly distressed or ill. Which, like, cool. But what a way to address the fact that people were trapped on a freakin’ roller coaster.Furthermore, it took almost four hours to remove the riders from the stalled coaster.Additionally, the whole thing was recorded and posted on social media. Follow Mark Brady @PGFDPIOThe plan is to remove children first. 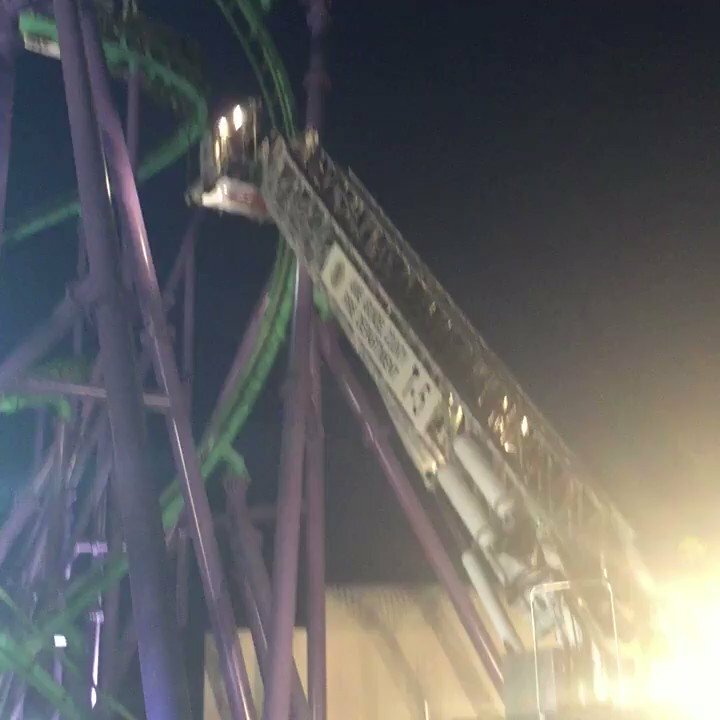 The first adult and 2 children are in the safety of our bucket and being prepared to be lowered PGFD 2:12 AM – 14 Apr 2017 Follow Mark Brady @PGFDPIOAt @SixFlagsDC @AACoFD Waugh Chapel Tower 5 brings down additional riders to the ground #PGFD@AACountyFirePIO 3:16 AM – 14 Apr 2017 Follow Mark Brady @PGFDPIOTower 826 brings down 2 more. 16 total down with 4 riders left. Then we need to safely bring down our firefighters. @SixFlagsDC #PGFD. 3:48 AM – 14 Apr 2017 Which is good for accountability, we guess. But also kind of makes us never want to go to an amusement park ever again.Additionally, Six Flags representatives told the Associated Press:“Joker’s Jinx did not complete its regular ride cycle, causing it to stop at a safe location on the track. 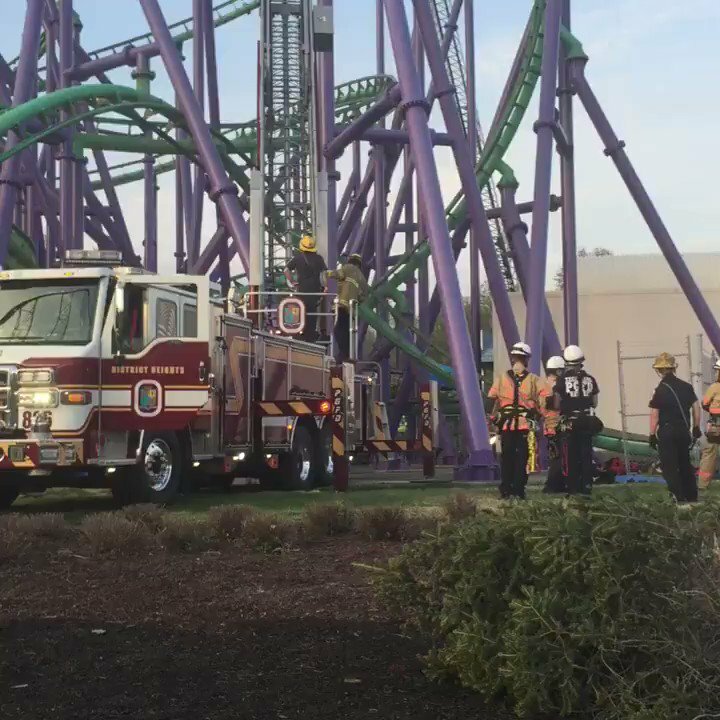 The Prince George’s County Fire Department is onsite to assist in getting the riders safely off the ride. The safety of our guests is our highest priority and the ride will be closed for a thorough inspection before reopening.”Apparently, a similar incident occurred with the exact same roller coaster in 2014. So maybe skip this particular ride during your next trip. Ananya Roy,International Business Times 22 hours ago\ A five-year-old boy from North Carolina died after being stuck at a rotating restaurant in Atlanta, Georgia. The boy was reportedly pinned between the rotating floor and wall of the structure.The incident took place on Friday (14 April) at the Sun Dial restaurant at the top of the 72-storied Westin Peachtree Plaza Hotel at around 3:30pm local time (8.30pm BST). The place was reportedly shut following the incident.Trending: US elite school Choate Rosemary Hall apologises over decades of sexual abuse„The child was in the restaurant having lunch with his family and doing what small children do, the child’s 5 years old,” Sergeant Warren Pickard, Atlanta Police Department said. 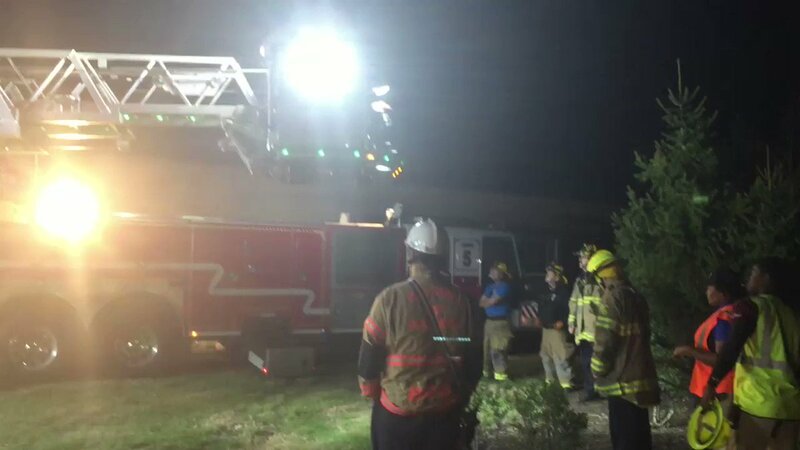 „He wandered away from the table and was somehow able to get lodged in between the rotating floor and the wall and the table.”It took firefighters around 30 minutes to free the boy from a 4-inch gap along the line of rotation where he was stuck, Fox 5 Atlanta reported. Emergency officials reportedly said that the boy was bleeding from the head and was immediately rushed to a nearby hospital. However, he later succumbed to the injuries.Don’t miss: Naked tourist plunges to his death from hotel balcony in Thailand„What we do know is that people in the restaurant, everyone ran to the child’s aid. Pulling furniture, turning over tables, trying to administer first aid, but just want not successful in saving the child’s life,” Pickard added, terming it as a „very tragic incident”.He said that the family was visiting the restaurant in Downtown Atlanta from the Charlotte area. „The family was visitors to our city. They were up enjoying one of our favorite attractions, the restaurant and just things went horribly wrong,” he added.Hotel manager George Reed told the Atlanta Journal Constitution, in an emailed statement, that they are cooperating with the police authorities in an investigation into the incident. He added that their thoughts and prayers were with the victim’s family.